FoxP2, a Cape Town based agency and Brandhouse bring a whole new approach to driving under the influence and its consequences. 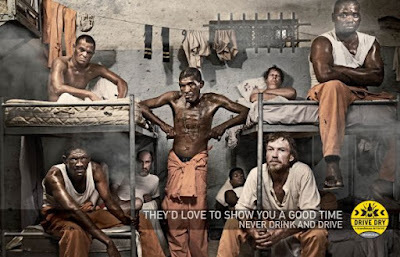 The "Drive Dry" campaign is aimed to discourage drinking and driving, something this advert seriously makes you think about. I support the notion of "dry driving" 100% and have stuck to it for some time. The guys in the video would 'love to meet you' if you get caught! Drive safe and sober during the holidays, don't risk everything.